A new goal – the healthy Christian leader, not just academic achievement. A new process – holistic development, transformation and not just information. Intentional design – a collage of diverse learning experiences, not simply perpetuating traditional courses while teaching (lecturing) as we were taught. Leaders building leaders – leaders taking personal responsibility for leader development, rather than only fulfilling ministry responsibilities themselves while delegating leader development to others. Churches building leaders – the primary unit of leader development is the local church or cluster of churches, and not a disconnected academic institution. Church planting through leader development – the emphasis on building leaders must be raised to the same level of priority and focus if we are to plant and grow sustainable churches. The centrality of the Person of Jesus Christ in Christian leadership. Union with Christ, the cross, suffering, holiness and dependency on the Holy Spirit (John 15:4-5) must be at the center of all our leader development. The Person of Jesus Christ is the Beginning and the End of all Christian leadership and leader development. It is clear that these all require significant changes of thinking – or, paradigm shifts. As Christians, we must ask the most important question: “What is the biblical paradigm of leader development?” – that is, if we really do submit to the authority of the Scriptures! Clearly, both Jesus and Paul introduced entirely new paradigms of leader development in their days. Yet, this was after Peter and John had completed their three years of training by Jesus! Evidently, whatever it was that Jesus did in the way of training and education, it was very different from what the religious leaders of His day were used to or even considered valid “schooling”! The Jews knew that Jesus had not “studied”; He had not completed their regular education. Yet, from His inner union with the Father, He spoke with accuracy, authority, power and life. Please do not misunderstand these words. These biblical observations do not endorse ignorance. Neither do they negate the need for intentional leader development, including sound biblical instruction. The point is simply that as they built leaders, neither Jesus nor Paul used the elaborate, formal educational approaches that we have become used to. Neither did they consider completion of such education as mandatory for “qualification” as a Christian leader. Jesus, Paul and other biblical leaders certainly did build leaders, but they did it differently. A simple reading of the Scriptures will reveal that they were thinking according to a different paradigm. If we are to address the leadership crises we face around the world, we need to think about leader development in new ways – or, should we say, old ways. Our next Letter will continue to study the paradigm shift of leader development. 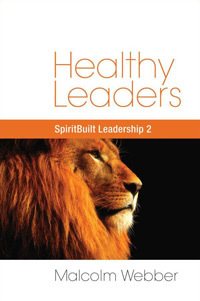 Execellent re New Testament premise for building leadership. There is an urgent need to get this out to churches across the globe in the ‘Age of Academia’. The absence of this center piece is stiffling church growth and turning souls away from the Kingdom of God.